What to check for when you want to make sure that your shares are sending. 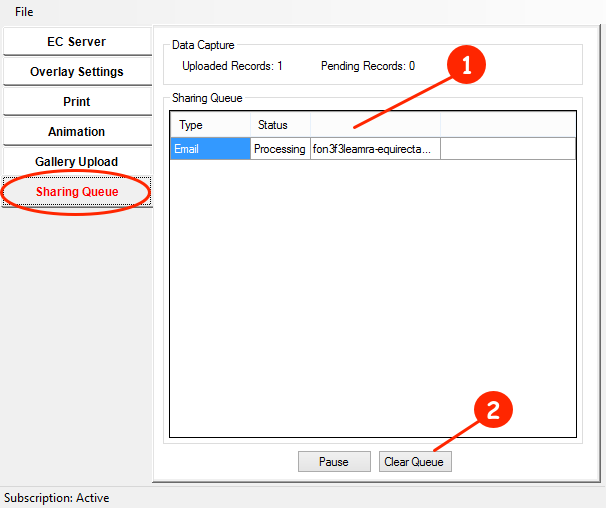 This guide will go over the importance of the sharing queue and how it can help you during and after the event. 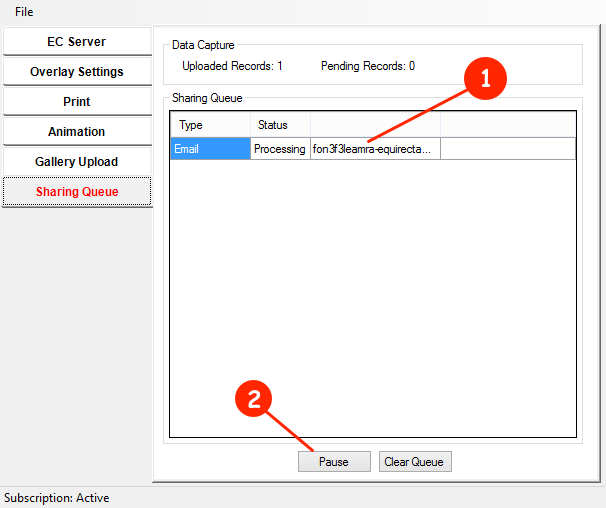 You monitor all of the files being shared from the Sharing Station through this queue. It will continue to accumulate email and text message shares until you are connected to a reliable source (social media shares cannot be queued without internet). The queue also shows pending items, shares being processed and errors. You will be able to see all pending and processing shares here. If files are slowly pass through the queue than it's a good indicator that you are not using a reliable source of internet. If they are starting to pile up then you need to switch to a faster connection. Please see this blog on "Why social media kiosk are problematic at large events and how to rectify it" for more information. You may also see shares with errors next to them here. This will indicate that your settings are incorrect and are incapable of being shared due to it. In this case you can Clear Queue and update the settings. There may also be an error in here that does not make sense to you. That's OK! Contact us so we can better assist. 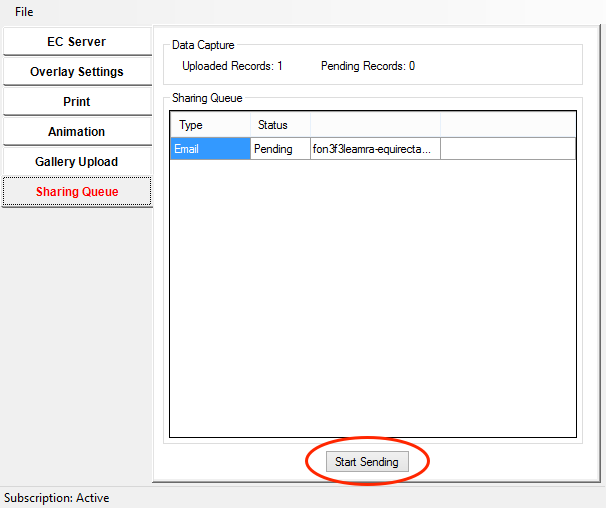 If you do not have the best internet connection and it is causing errors or simply want to work in offline mode sharing only to email and text message, Pause the sharing queue. Click Pause and you will start to see all of the shares accumulate. If you turn off the PC, close the software or completely exit the device server software, shares will still remain in the queue until you reconnect to active internet. Once you are connected to active internet click the Start Sending button to release the shares from the queue.